The possibility of inserting videos, music, and images. This function is especially useful when the presentation relates to the analysis or evaluation. The use of video and audio can accurately render the scope of the discussion and help the speaker explain the topic in more detail. The possibility of using diagrams and schemes. The use of diagrams is especially important when it concerns the evaluation of specific percentage in economics, physics, or chemistry. The use of diagrams and charts is also helpful when a specific quantitative research is demonstrated. Using PPT for making website or software functioning prototype, which can be introduced to an investor or developer. These PowerPoint tips can be employed by means of hyperlinks, or by duplicating slides function. There is an algorithm of using this function. First of all, it is essential to use web elements for the desired appearance. Second, you should duplicate the slide and use a simple round to create a button and establish the transparency to 100%. Further, it is necessary to position a spot to make reference to the fully-created program. Finally, a hyperlink should be added. Use of different designs for PPT. The choice of a design is a useful approach which can be thematically tailored to the topic of the presentation. These PowerPoint tips are essential for those who care about the details of the presentation process. Formatting the quick access toolbar is another secret function, which can enhance the quality of the presentation. 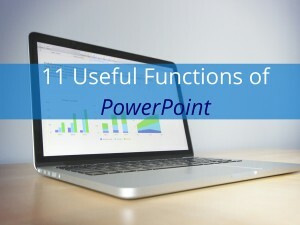 This is a place which gathers frequently used features, that are important when you do not know how to make a PowerPoint. In general, the toolbar is composed of several tags, such as alignment, distribution, font, shape formatting, and other elements. Animations are also among the benefits when you decide to learn more about how to make a PowerPoint. Indeed, animation capabilities are an excellent way to bring in some brightness and vividness to your presentation by making just a few clicks with a mouse. All you need is to open the animation menu and choose from such options: “Appear”, “Fly In”, and “Fade”. Motion paths are also among most helpful PowerPoint effects which can be used to make objects move across the screen and adjust all other paths to what is presented on the slide. This is one of the Animation functions, when you click the “Emphasis” text. When you select an object before the click on the menu, it is possible to move to other options, such as Grow/Shrink, Wave, Teeter to see how they can look like while applied. The bouncing ball is more for fun than for the actual use. Anyway, these Presentation Effects are interesting and funny to use. Following a bouncing ball is always interesting and entertaining. Besides, it can distract the audience from serious questions and make them more disposed to the open discussion and interaction, which simplifies the speaker’s task and enhances the effect. When your presentation is about company’s financial analysis, you should learn more about how to make a PowerPoint with Excels. The use of Excel is as simple, as inserting images and pictures. YouTube Videos can also be introduced to a PowerPoint presentation. It is necessary to confess that video you want to embed could be from YouTube. All you need is to provide specific hyperlinks, as well as the corresponding explanation for the video. As it can be seen, there are many other secret PowerPoint Tips which help to learn more about how to make a PowerPoint in a more effective manner. There are many other approaches which can be used for advancing the quality of the presentation itself and promoting a new vision of PPT speech. The task of the speaker is to choose among those functions and embed them to amplify the scope and topic of the discussion. For instance, in case it is a film, using video and pictures from the movie is relevant. Using soundtracks and photos of the would also be a plus. After all, PowerPoint slides seek to complement the speaker’s presentation with bright details and make the audience attached to the discussion. Finally, PowerPoint should also serve as a tool for engaging the audience into the discussion and open interactions to maximize the effect. So, go ahead and surprise your audience with specific details and knowledge of additional functions of a PPT.